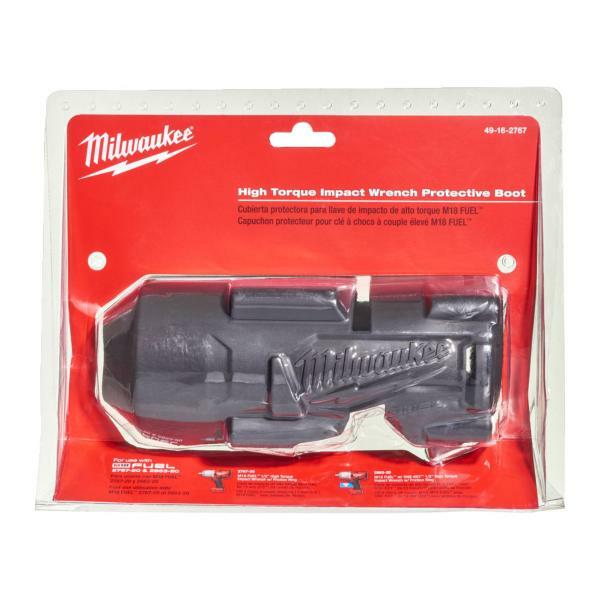 Milwaukee 49162767 is a high torque impact wrench boot compatible with the M18ONEFHIWF12-502X or M18ONEFHIWF12-0, This is a genuine Milwaukee accessory. This rubber sleeve has been designed to protect both the tool and the work surface from various corrosive materials that can be found on site. The flexible material is a lightweight way of protecting your tool without making it bulky and adding the least amount of weight possible.